First up is a writer we have featured on the reboot before: with the author of Warpaint we now bring you Content Burns. “Content Burns” chronicles the parallel stories of two women from the same family, who bear the same Puritan name, and who are separated by three centuries. They are unknown to each other, but both women must learn how to survive historical traumas that changed the course of American history. The first Content Burns, born a Pequot Indian, was originally named Asawanuw (Corn-silk), survives both a small-pox epidemic and the Pequot Massacre as a child. Given in servitude to the colonial Burns family, she converts upon her marriage into that family and takes the name Content as a sign of her acceptance of her fate. But she finds she cannot escape the after-effects of the massacre of her family and her tribe in 1637 at Mystic, Connecticut, a massacre that significantly altered relations between the English, Dutch and tribal peoples, and contributed to not only the bloody King Philip’s (Metacomet) War, but also to the much later witch hunts that rocked the New England coast. And the contemporary Content Abigail Burns, nicknamed Cabbi, survives, purely by accident, the loss of the Twin Towers on 9/11, having swapped her restaurant shift with a co-worker. Damaged by the fluke of her survival, Cabbi is still healing from that trauma as she nurses her dying mother, and searches, as Content Burns before her, for a new way forward. Follow the progress of these two distant, but not dissimilar women when Content Burns is released on April 1st 2014. Moving out of the past and into the future and beyond, Michael J. Sullivan’s Hollow World takes readers through time, space, and their own minds. Ellis Rogers is an ordinary man who is about to embark on an extraordinary journey. All his life he has played it safe and done the right thing, but when he is faced with a terminal illness, Ellis is willing to take an insane gamble. He’s built a time machine in his garage, and if it works, he’ll face a world that challenges his understanding of what it means to be human, what it takes to love, and the cost of paradise. Ellis could find more than a cure for his disease; he might find what everyone has been searching for since time began — but only if he can survive the Hollow World. 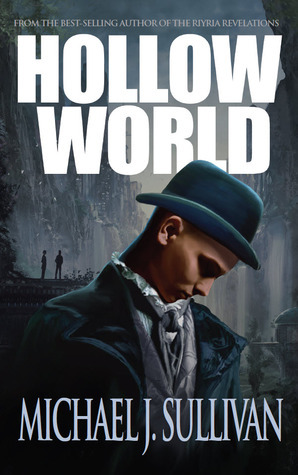 For those of you without a time machine of your own, I’m afraid you’ll just have to restrain your rampant desires to read: Hollow World will be released on April 15th 2014. But never fear! While you’re busy pining away for Hollow World‘s debut, you can slake your thirst for fantastic journeys through time and space with a novel released only 2 days ago! Linguists and history fanatics alike will be entertained by Nina Post’s Zaanics Deceit. Exiled from her wealthy San Francisco family five years ago, Cate Lyr has struggled to build a new life for herself halfway across the globe. But when her vengeful sisters take control of the family empire and threaten to expose the secrets that her ancestors have safeguarded for centuries, Cate must learn the family’s constructed language, evade dangerous secret societies, and team up with a childhood friend to set things right. Taking the reader on a journey from modern-day Istanbul to plague-stricken 14th century Paris, from San Francisco’s financial district to the tropical islands of Micronesia, The Zaanics Deceit is the first in a series of novels featuring Cate Lyr and the Væyne Zaanics language. As the first book in this series inspired by Shakespeare’s King Lear, The Zaanics Deceit introduces the reader to the origins and usage of the language, including a functional character set, English pronunciation, and translation! If mysteries in the nature of humanity, time, language, tradition, and family is not enough to make you forget your weekday woes, as a final contribution, I offer you (the anticipation of) Sherlock Holmes, Arthur Conan Doyle, and Oscar Wilde in Vaughn Entwistle’s The Revenant of Thraxton Hall. 1893 is a tumultuous year in the life of the 34-year old Conan Doyle: his alcoholic father dies in an insane asylum, his beloved wife is diagnosed with galloping consumption, and his most famous literary creation, Sherlock Holmes, is killed off in The Adventure of the Final Problem. It is a move that backfires, making the author the most hated man in England. But despite the fact that his personal life is in turmoil, the lure of an intrigue proves irresistible. Conan Doyle assumes the mantle of his fictional consulting detective and recruits a redoubtable Watson in the Irish playwright, Oscar Wilde, who brings to the sleuthing duo a razor-keen mind, an effervescent wit, and an outrageous sense of fashion. “The game is afoot” as the two friends board a steam train for Northern England to attend the first meeting of the Society for Psychical Research, held at the mysterious medium’s ancestral home of Thraxton Hall—a brooding Gothic pile swarmed by ghosts. Here, they encounter an eccentric melange of seers, scientists,psychics and skeptics—each with an inflated ego and a personal motive for murder. But as the night of the fateful séance draws near, the two writers find themselves entangled in a Gordian Knot that would confound even the powers of a Sherlock Holmes to unravel—how to solve a murder before it is committed. However, because it would be too easy to just show you great books you can read today, The Revenant, like others on this list, is now available…for preorder! You can get your very own copy March 25th 2014. Last but not least, I present Kate DiCamillo’s Flora & Ulysses. This is where I should give a glowing recomendation of the book’s merits and unconventional format, but this time I will simply leave you with the reason I could not leave this particular title behind: there is a talking squirrel named Ulysses. It begins, as the best superhero stories do, with a tragic accident that has unexpected consequences. The squirrel never saw the vacuum cleaner coming, but self-described cynic Flora Belle Buckman, who has read every issue of the comic book Terrible Things Can Happen to You!, is the just the right person to step in and save him. What neither can predict is that Ulysses (the squirrel) has been born anew, with powers of strength, flight, and misspelled poetry — and that Flora will be changed too, as she discovers the possibility of hope and the promise of a capacious heart. From #1New York Times best-selling author Kate DiCamillo comes a laugh-out-loud story filled with eccentric, endearing characters and featuring an exciting new format — a novel interspersed with comic-style graphic sequences and full-page illustrations, all rendered in black-and-white by up-and-coming artist K. G. Campbell.